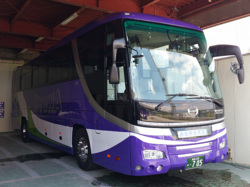 Bus charters in Japan are highly regulated, and must take into account distance travelled, hours driven, pre-departure checks etc. 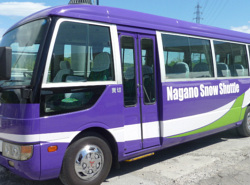 A bus charter is calculated from the time the driver signs in and the bus leaves the depot until the bus returns to the depot and the driver signs out. Other factors that need to be taken into account are the number of drivers, and if part of the trip includes late night operations. 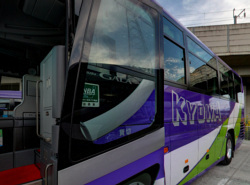 Highway tolls are also very expensive in Japan, and must be calculated along the propsed route of travel. 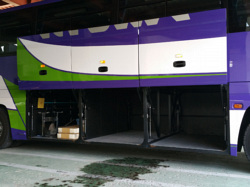 Because of this we handle all charters on an indivdual quote basis. 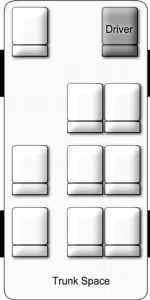 Below are some sample rates for reference only. 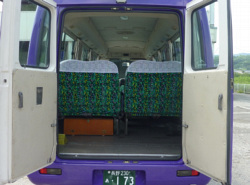 Mini Buses have 15-18 seats. 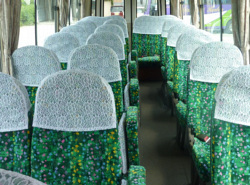 Medium Buses have 27-28 seats. 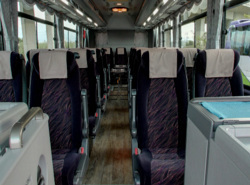 If travelling with a large amount of luggage we reccomend a maximum of 20 passengers per bus, or hiring a luggage vehicle. 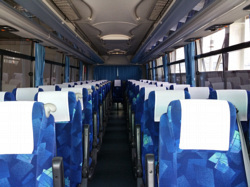 Large Buses have 45 seats. 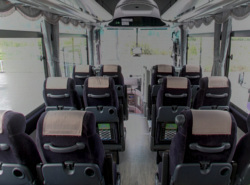 If travelling with a large amount of luggage we reccomend a maximum of 38 passengers per bus, or hiring a luggage vehicle.